The dream of electric ducted fan flight has now come true. Powerful flight in a convenient size ! This high performance ducted fan airplane proves sophisticated high-tech mechanics can be easy and fun to use.  KYOSHO's many years of ducted fan airplane design experience and the latest brushless motor technology launches a new era in flight performance. The 300g of ultra-lightweight kit with beautifully fiberglass fuselage contains a built-in micro ducted fan unit that delivers awesome propulsion to fly exciting stunts such as loops and rolls. This almost fully assembled airplane requires only a few steps to complete assembly and linkage setup so you can experience the thrill of realistic jet flight.